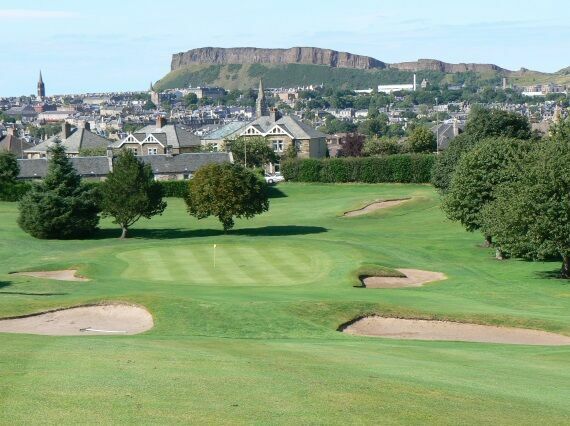 The final hole crosses the tail of Blackford Hill. The cottages are visible beyond the green but not until the brow of the slope is reached. 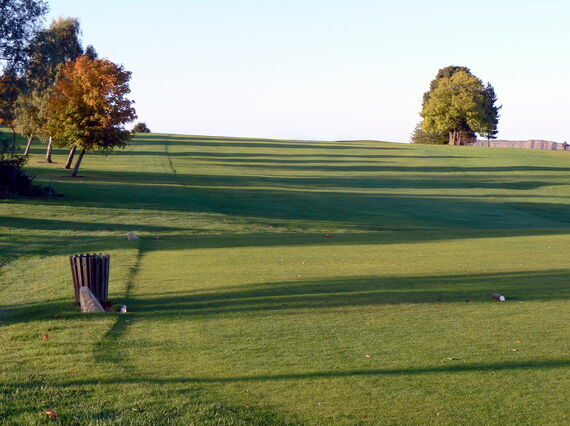 Here on the right side of the fairway lies a driveable bunker supported by a line of trees. 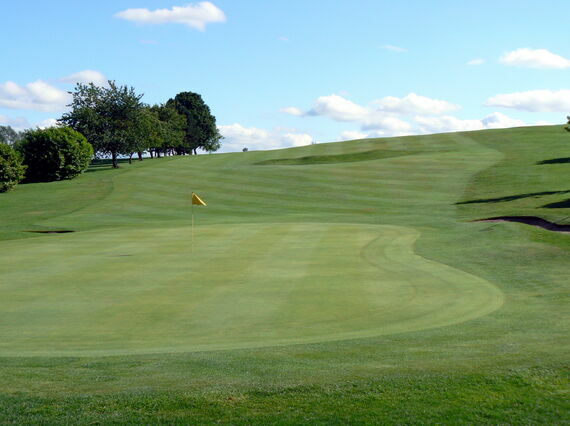 On the fairway over the brow of the hill lie two bunkers about eighty yards from the very large green, which is well bunkered on both sides. If the pin is close to the left edge of the green it is virtually impossible for a second shot to stop close to the hole.